If you think about your phone, it’s changed tremendously over the past decade, and now it literally has more processing power than the computer’s NASA used to send man to the moon in 1969. While we won’t be sending you to outer space, dental technology has benefitted from this same kind of progress over the years, giving our team the tools to find, diagnose, and treat dental issues in less time than ever, helping patients get what they need and back to their lives as efficiently and comfortably as possible. 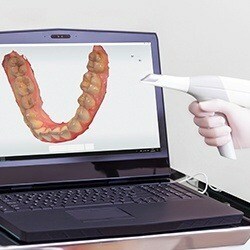 Thanks to our Mouthwatch intraoral camera, you’ll finally be able to see your smile from your dentist’s point of view. This small, wand-like instrument fits easily into the mouth and can capture high-resolution images of the teeth and gums we can show you on a monitor right in the treatment room. 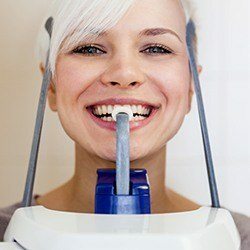 These can serve as excellent visual-aids, helping you better understand your dental health and why we might be recommending a certain treatment. When planning a complicated procedure like dental implant placement, we need a little more information than what a traditional 2D X-ray can tell us. 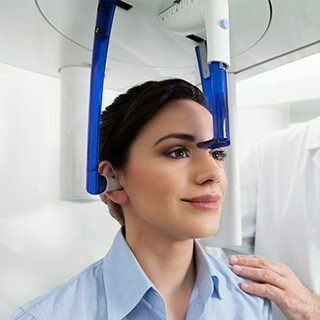 Rather than having a patient undergo a complete CAT scan, our Sirona Orthophos cone beam scanner provides the perfect middle ground. It enables our team to create a highly-detailed 3D X-ray image of a patient’s teeth, jaw, and surrounding oral structures. With it, we can come up with very precise and personalized treatment plans to guarantee a procedure’s success as well as an easy recovery. Our practice uses dental impressions to design a wide variety of treatments, from crowns to veneers to Invisalign and more. If you’ve ever had one taken the traditional way—with dental putty—then we bet it wasn’t exactly your favorite experience! Thankfully, we’re now able to create a highly-accurate model of the teeth with just a few non-contact scans, a process which is much faster and comfortable than the old way. It only takes about 3 minutes from beginning to end, and it allows us to keep the putty safely tucked away! Traditionally, if a patient needed their gums to be treated, a dentist had to use a scalpel and sutures, which as you can imagine, aren’t very comfortable. 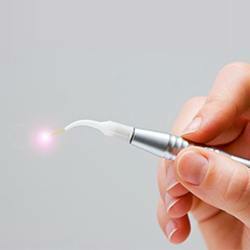 With our NV Pro soft tissue laser, however, gum-focused treatments are now quicker and easier than ever. It generates a highly-focused beam of light, and with it, we can remove harmful bacteria and infected tissue without causing any pain or bleeding, plus we can even provide a cosmetic gum lift to correct a “gummy” smile. We like our patients to know exactly what to expect no matter what kind of treatment they are getting, especially if it is something that will change the appearance of their smile. 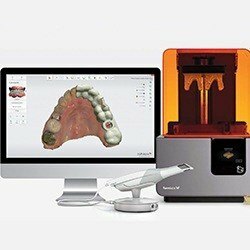 That’s why we have a 3D printer, which can quickly create physical models of a patient’s teeth that can be altered to show how a particular procedure could change them. This way, there are never any unpleasant surprises after treatment, and any adjustments can be made before we actually do anything to the teeth. Giving patients personalized care depends on us having the most comprehensive picture of your needs. That's why X-rays are so essential to the treatment process. With the advances of digital technology, taking X-rays has never been as easy, comfortable, or safe as it is now. To learn more about the benefits of digital radiography, we invite you to give our Waco office a call.